Aleo Solar GmbH produces and distributes solar modules and systems. It was founded in 2001. Its plant in Prenzlau, Germany, provided the company with an annual production capacity of 280 megawatts by 2015. Renergy Limited offers the 300Wp module S19 HE. Aleo Solar come with an optional extension of the product guarantee of 25 years and a linear performance guarantee of 25 years. For more information and specification please click here. 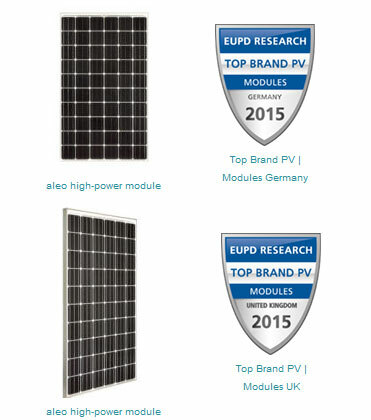 Click here to view a presentation on the Aleo Solar modules.